Canarias eXtreme has been established with the enthusiasm of taking up a new sport, together with the sensation of self-improvement involved in getting better at it and the team spirit that leads to the sharing of new experiences. At Canarias eXtreme, we channel our enthusiasm through sport and find a better way of releasing the stress from our everyday grind than sitting at home watching television. When the idea of setting up Canarias eXtreme came to light, we thought not only of the physical exercise, but also of the unbeatable setting in which the exercise would take place. 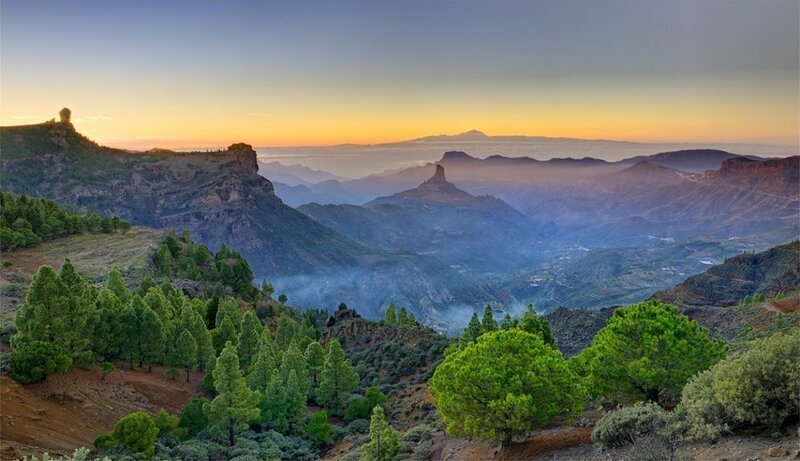 The Canary Islands offer the possibility of practising water sports, like kayak tours or boat trips, as well as mountain sports, such as hiking, mountain biking, buggy adventure safari etc. So, if you are into enjoyment and adventure sports, welcome to our company. We hope to give you the same feeling we get: freedom in the environment in which we live. You can expect to have an awesome time! Enjoy all the tours around the island that we have for you. Canarias eXtreme is a Mark Duly Registered in OEPM in SPAIN having Exclusive Rights on It and there is no Authorization to Any third party for use. Canarias eXtreme not have any Affiliation or Managerial Relation with any Company of the Island That One dedicates to this type of services. Canarias eXtreme est une marque dûment Enregistrée á OEPM, Bureau de Marques et Patentes de Madrid, et a Tous les Droits Exclusifs sur Elle, et il n existe Aucune Autorisation à un Tiers pour Son Utilisation. Canarias eXtreme n a Aucune Áffiliation, Contact ou de Relation Commerciale avec d autres entreprises Sur l'île qui se dedie a ce genre de services. Canarias eXtreme sport & adventure has the best professionals, full, top-quality equipment and is set on the unequalled stage of the Canary Islands. Our days are aimed at company or incentive groups, as well as school groups, and our focus is on stimulating cooperation within each group, putting the capacity for leadership of each individual to the test. Our activities are suited to all ages and people in all kinds of physical condition. We have sports installations and hotel resorts for all kinds of leisure or business events, together with empty rooms for setting up marquees and conference rooms. We design and run outdoor-training activity programmes for companies, focusing on personal relations, team togetherness and participant motivation in a way that is different and enjoyable. Our programmes are an ideal complement for business meetings, conventions or incentive holidays and we offer pre-designed team-building adventure packages which promote team work in a way that is attractive and great fun, and available anywhere on Gran Canaria. For customers who require a specific programme, we act as consultants, designing and producing activities that adapt to your companyís needs. Business programmes are aimed at teams of professionals and combine the improvement of participantsí skills through personal experience with the sensation of achievement that comes from overcoming a variety of challenges through exercises in the open air. We concentrate on the aspects in the group that need strengthening: leadership, decision-taking, teamwork, personal achievement, etc.